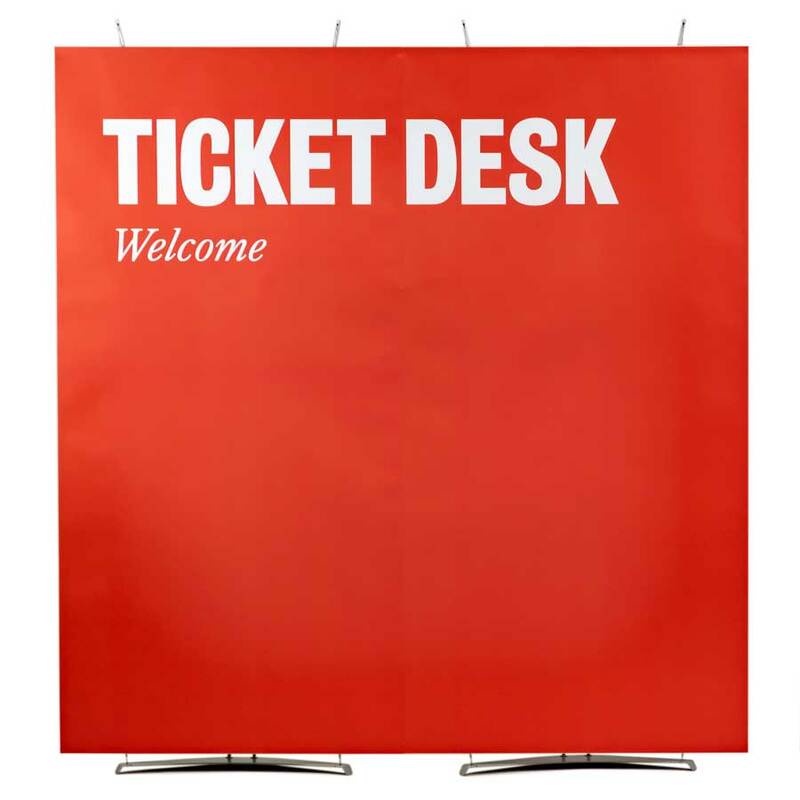 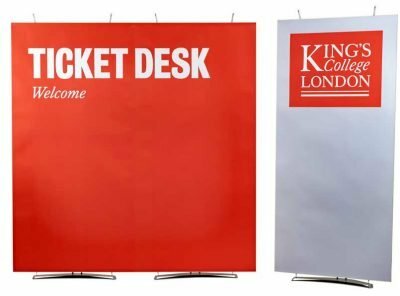 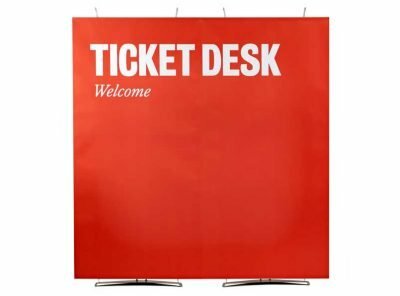 A simple magnetic system means you can join 80cm, 90cm or 100cm wide banner stands together to create larger landscape display. 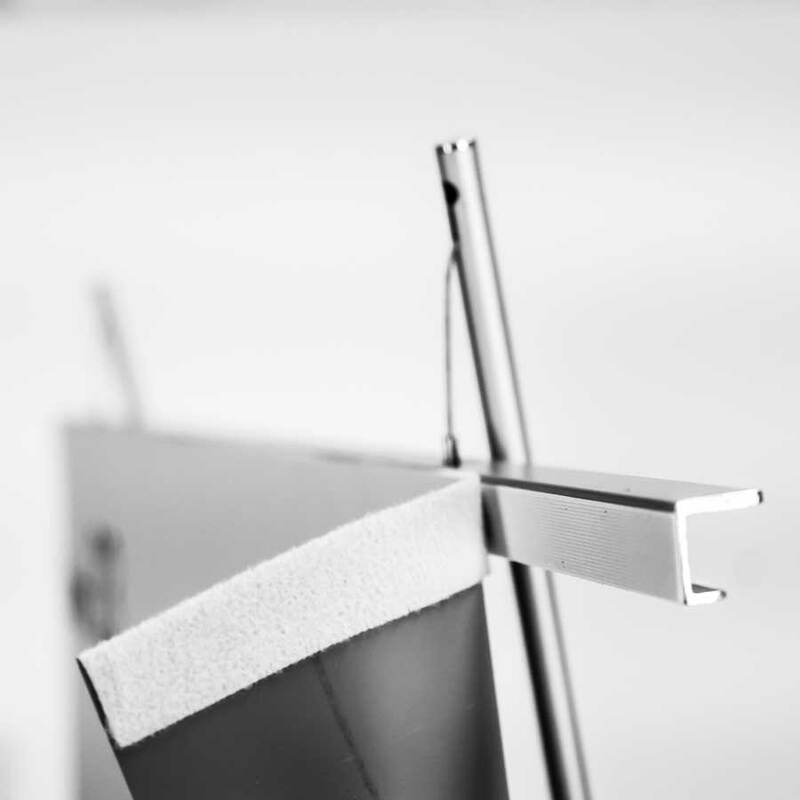 Two aluminium connectors join the top and bottom rails together. 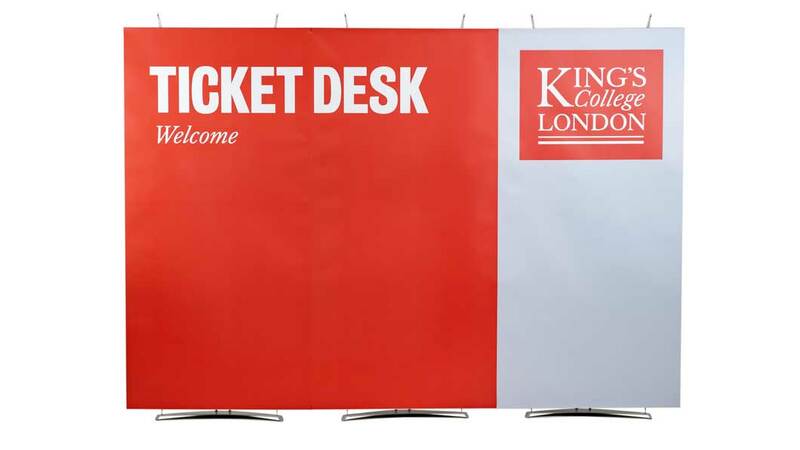 Magnetic tape down the banner edges is held together by light weight foamex bars with steel tape applied. 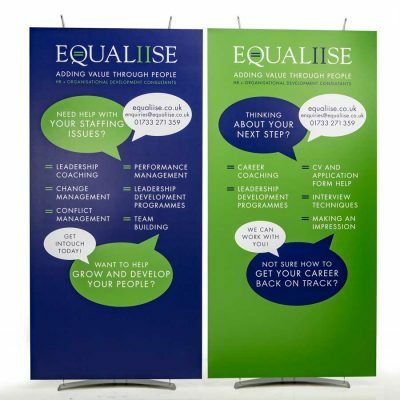 This means that two individual banners can be turned into a 1.6m to 2m wide graphic. 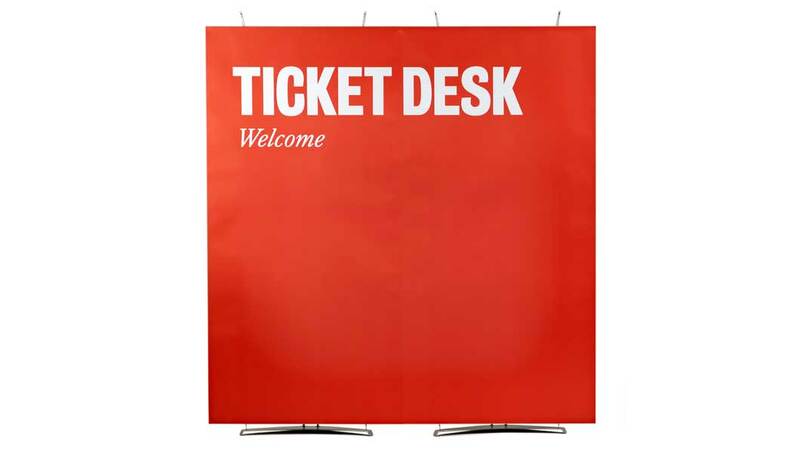 Additional displays can be added to these units to create a much larger graphic. 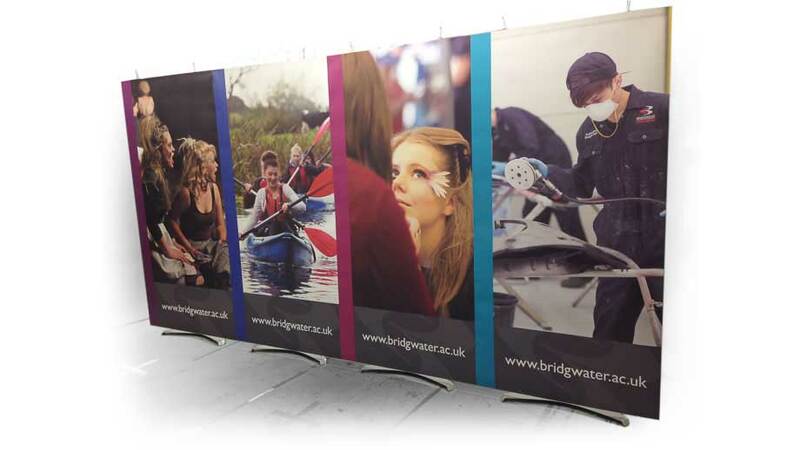 We supplied Bridgwater College with a set of six graphics and four D4 Konnect banner stands. 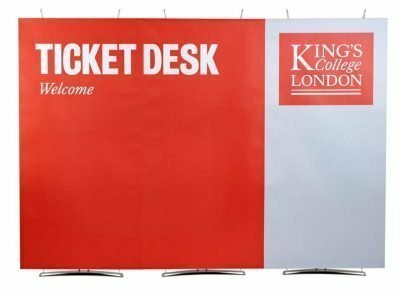 This project illustrates how the D4 Konnect works as a modular exhibition system. 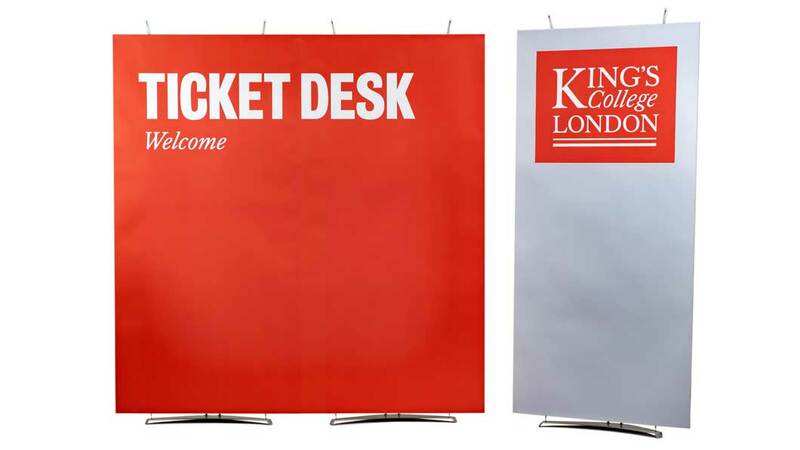 They wanted six 100cm wide banners graphics that could be used individually. The displays could also be used together to create a larger displays for bigger events and exhibitions. 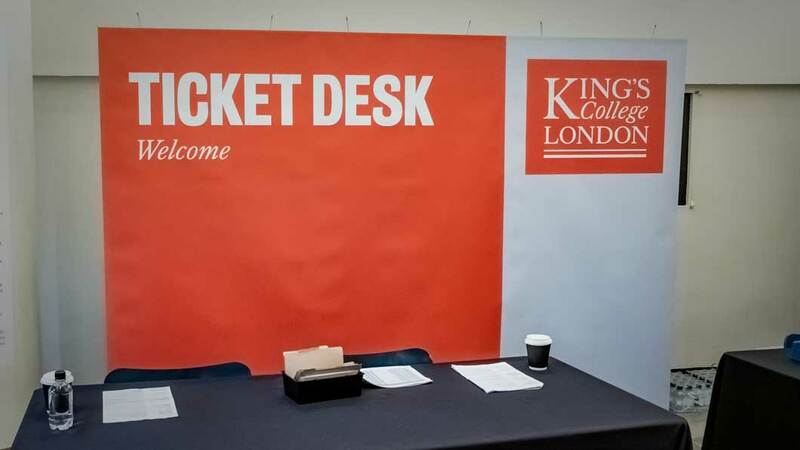 The individual displays featured different aspects of the colleges curriculum. Here we have two of the 1m banner stands side by side. Purchasing this configuration allows the marketing team to either use four displays at different events on the same day. 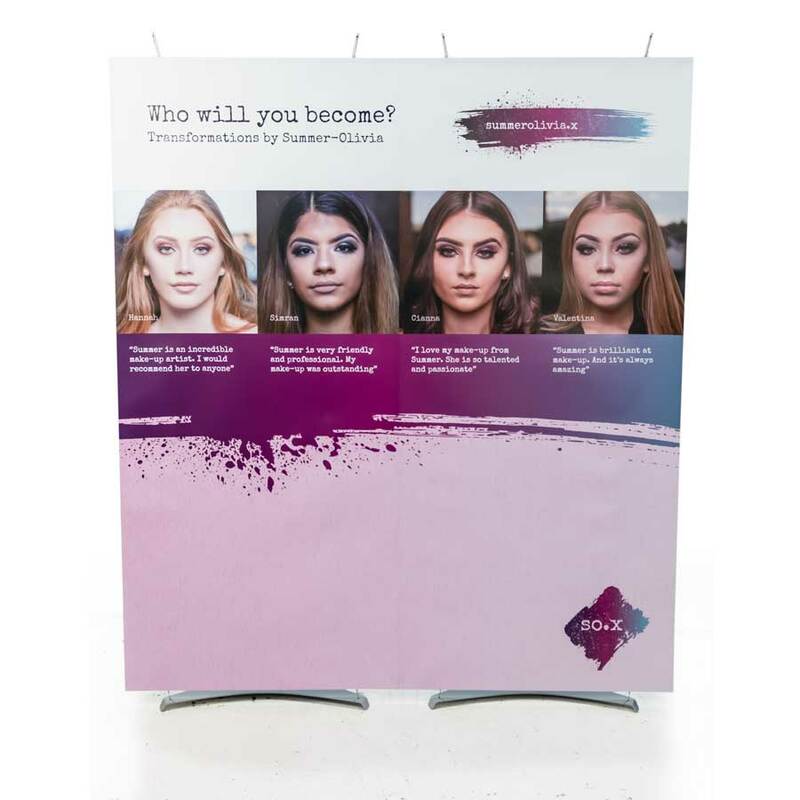 Or all the displays can be used together to create a graphic wall with more impact at larger events and at trade shows.